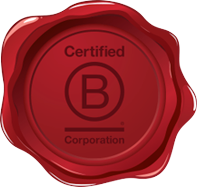 B Corp Certification doesn’t just evaluate a product or service; it holistically assesses the overall positive impact of the company that stands behind it. Certified B Corporations achieve a minimum verified score on the B Impact Assessment—a rigorous assessment of a company’s impact on its workers, customers, community, and environment—and make their B Impact Report transparent and publicly available on bcorporation.com.au. Aspen Medical is a global provider of guaranteed, innovative and tailored healthcare solutions across a diverse range of sectors. Australian Ethical is a financial services company with a difference. They use the powerful force that is capital for change and are a super fund that invests in companies that benefit the planet and people to influence the world positively.